I’ve known Lino Ieluzzi, the proprietor of Al Bazar in Milan, for a few years now and always admired his style. I wouldn’t wear it; I wouldn’t recommend it; but it is unique, personal and consistent. The worst thing about so-called peacocks at Pitti is slavish mimicry, rather than a lack of taste. You couldn’t accuse Lino of the former. The same goes for his shop. Much of it isn’t to my taste, but the pieces that are I will travel to buy. How many shops in the world can you still say that about? Almost all the clothing in Al Bazar has been designed by Lino to a greater or lesser extent. The tailoring uses a tweaked block – slimmer, obviously – and many cloths that he came up with himself. That translates into bigger and bolder, with bright and exploded checks a particular favourite. Of course I don’t buy the tailoring. And many of Lino’s original creations, such as his varsity-style leather jackets, aren’t for me. But I have worn the long-sleeved polo shirts (above) for years. Lino designed them originally with Italian shirtmaker Guy Rover, and they now come in dozens of colours and a couple of different weights. The higher collar and closely buttoned sleeve were designed to be worn with tailoring. 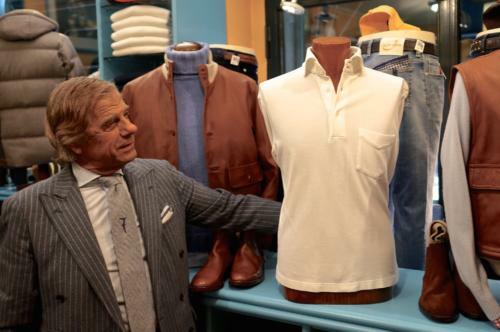 I am now having polo shirts made bespoke by Satriano Cinque, but remain a big fan of Al Bazar’s knitwear. 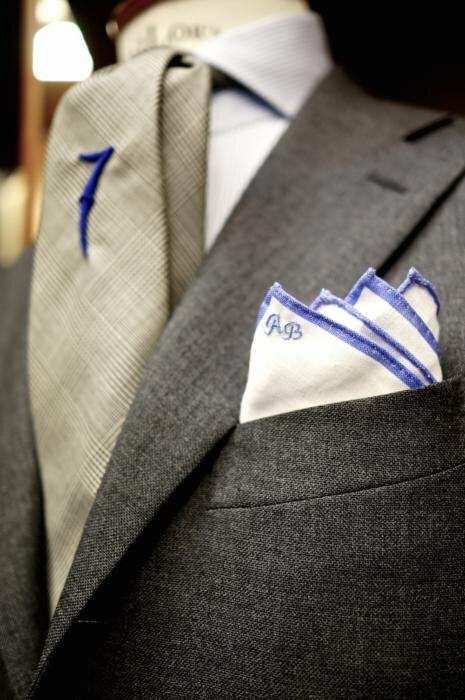 The cut is slim – “asciutto” or “dry” – and again suits tailoring as a result. 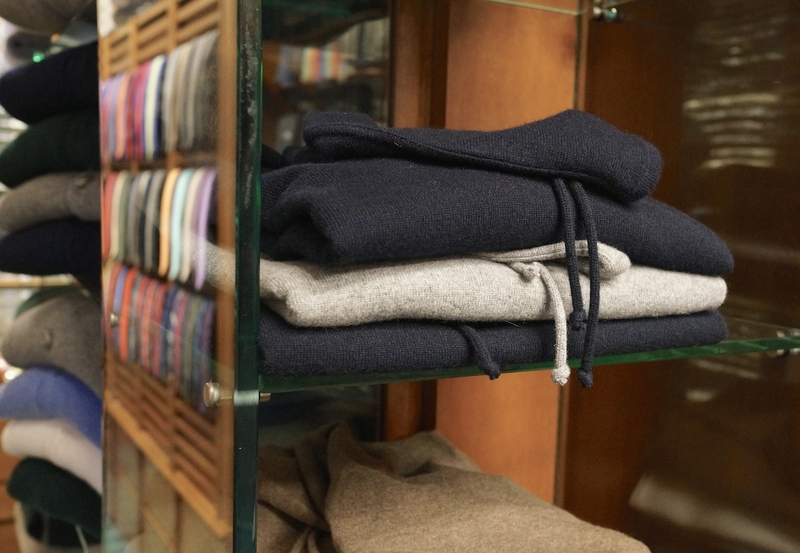 My favourites are the cashmere hoodies (in navy, biscuit and three shades of grey, above) and zip-neck styles with leather elbow patches. You can follow the discussion on Al Bazar, Milan – a style all its own by entering your email address in the box below. You will then receive an email every time a new comment is added. These will also contain a link to a page where you can stop the alerts, and remove all of your related data from the site. I was hoping for a classic ‘thumbs up’ shot with you and Lino, linking two icons of the Internet sartorial scene. No luck? Just wondered if you could recommend some interesting shops in Rme as you have done in the past for Milan? This article sums up the antithesis of this blog, it may be closer to the HTSI! Always was wondering which maker does Al Bazar’s tailoring? Sorry if you feel that way Baer. Long-term readers will know that I haven’t bought ready-to-wear tailoring since I started the blog, seven years ago. 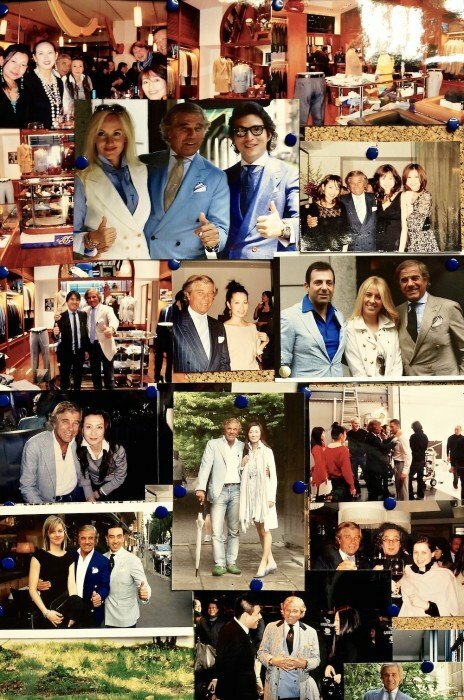 Since a large portion of Al Bazar’s output is tailoring, I wanted to make clear to readers that I wasn’t necessarily recommending the tailoring, as I have not experienced it myself. One of my other principles is not recommending clothing on any other basis. I can explain what it is and how it is made, but any straight recommendation is insubstantial otherwise, for me. what polo size do you buy?